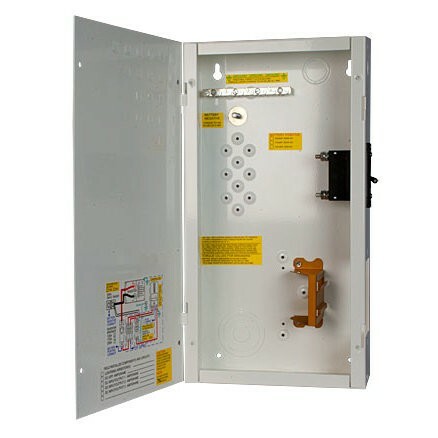 The MNDC-C-Series is an MNDC with adapter attached for the smaller panel mount breakers (3/4 inch MNEDC panel mount breaker not included). Chassis is white powder coated aluminum with 5 dinrail breaker slots or 3 panel mount breaker slots. The MNDC comes with a din rail for 5 additional DC breakers for DC loads, charge controller disconnect, battery status monitor feed etc. included is a ground bus, 5/16" bonding battery minus stud. Mounting holes for a 500 amp shunt are built in. ETL listed for US and Canada.